Stunning beauty southwest of Anchorage. Lake Clark National Park is located at the junction of three mountain ranges. 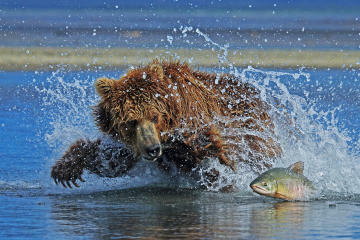 It protects the Bristol Bay salmon fishery and the Kvichak River, the most productive watershed for sockeye salmon. 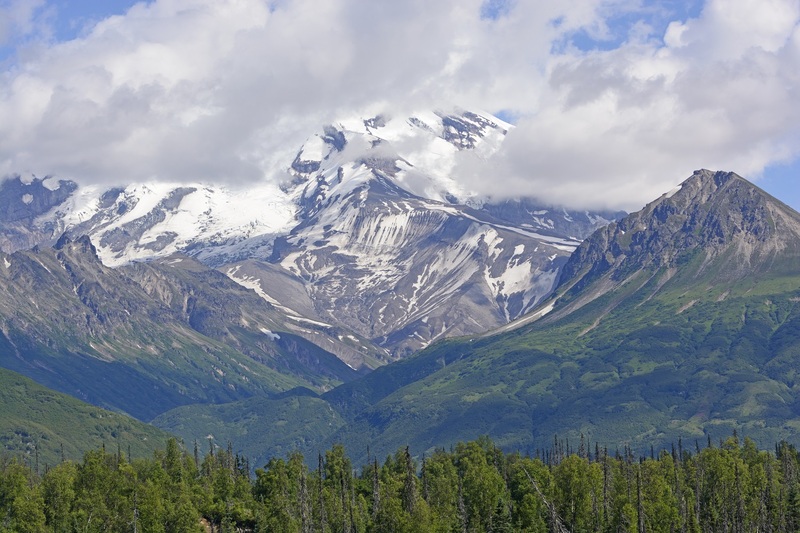 The park also has a large population of brown bears and an active volcano (Mount Redoubt). There are no roads to the park. Entry is made by plane or boat. The gateway community to Lake Clark is located on the eastern shore about 100 miles southwest of Anchorage. There are approximately 125 residents. The only maintained trail system in the park is accessed from Port Alsworth. Try the hike to Tanalian Falls for one destination. Upper Twin Lake is a popular place for backpacking and camping in Lake Clark National Park. It is a 30 minute flight from Port Alsworth or an hour from Anchorage. The Proenneke Cabin is open to the public daily in the summer months. It was created by hand by Richard Proenneke, who lived alone in the area for thirty years and became famous when books and films were made about his life in Alaska. Proenneke died in 2003 and left his cabin to the National Park Service. It is now on the National Register of Historic Places.